This is a first for The Phonograph Makers' Pages: the opportunity to follow the rebuilding of an old Edison phonograph on a blog. Jeff Howe's idea was to obtain an old phonograph at a reasonable price - which is to say not in mint condition - mainly to get a mandrel he could use. 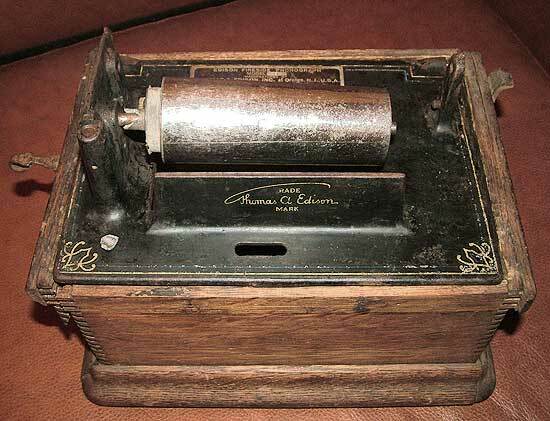 He eventually found his phonograph in Canada and had it shipped to him in Canterbury, England. The picture above shows the machine as it was upon arrival. For the rest of the story, just click on the link below and read Jeff's own unfolding story!